Poppy Walshaw read Music and Natural Sciences at Cambridge University then studied with Alexander Baillie in Bremen, Germany, gaining her postgraduate diploma with the highest possible mark. She was subsequently a Continuo Scholar at the Guildhall School of Music and Drama with Alison McGillivray and Louise Hopkins. She now works throughout Europe, particularly with the English Baroque Soloists, Academy of Ancient Music, Orchestra of the Age of Enlightenment, and Arte dei Suonatori. Poppy is currently the continuo cellist for The Hanover Band, including last year as soloist for Geminiani La Folia in Beijing. 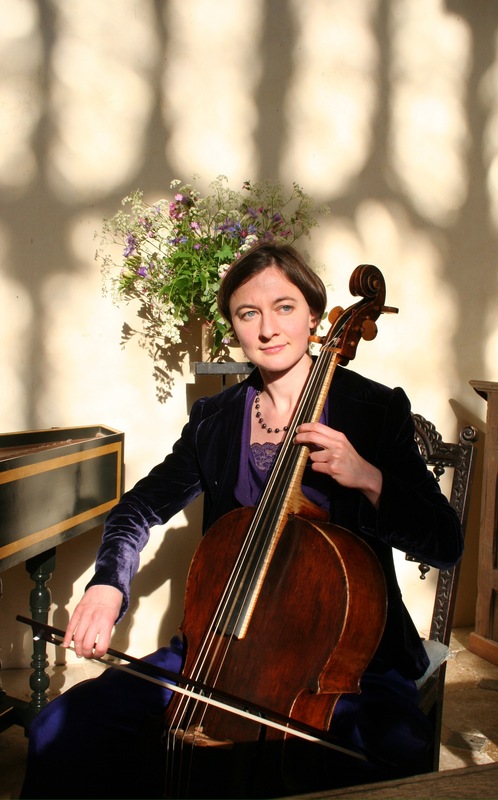 She has performed as continuo cellist of the English Baroque Soloists for Sir John Eliot Gardiner on several occasions, including at the Metropolitan Museum in New York and to HRH Prince Charles, the latter with the Monteverdi Choir and also performing a solo sonata. Poppy is in demand as a soloist, with recent and forthcoming recitals in Holland and Germany. Solo concerto performances have included touring Poland and live on Danish Radio with Arte dei Suonatori, at many festivals with Fiori Musicali, and at St John’s Smith Square in London, playing Monn, Leo, Porpora, CPE Bach, and Vivaldi. She regularly plays chamber music with renowned violinist Simon Standage including for CDs of Haydn flute trios and Schubert Trout Quintet (Chandos). Gorgeous, Poppy. I moved into a Continuing Care Community yesterday. It is brand new and offers all the amenities you could imagine. It’s more like a luxury hotel, with 3 restaurants, underground garage, and concierge service. I’m on top floor, with lots O’D trees on my view. Can’t wait for fall, when the leaves show their colors. Any dates in the future for the States? You are an extremely busy and talented young lady! !